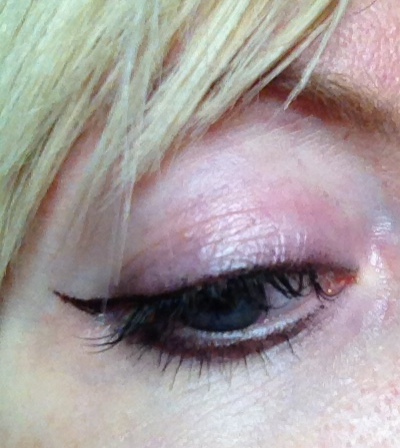 My latest beauty crush is 2True Pro Tech Extreme Eyeliner (£4.50) as I’ve started wearing cat eye flicks again and have been having lots of fun testing liquid liners. 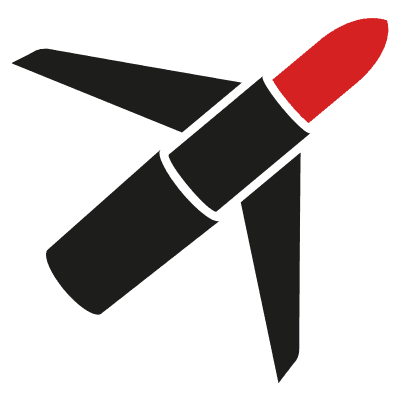 What’s so good about this one, apart from being a brilliant budget buy, is the tip – it’s just like a felt-tip pen and is nice and long so you can really control what you’re doing. Sometimes I struggle to get even lines and I found this pretty easy and quick to use. The colour is very black which is great, and it also lasts – you’ll need a half-decent eye make-up remover to get it off. With liquid liners, sometimes transfer onto the upper lids can be a problem, especially if you’re not wearing eyeshadow. I noticed it a little when I wasn’t wearing anything else but the liner, however if you wear it with eyeshadow or powder (or even use it just to create the flick without lining your upper eyelid), you should be okay. 2True Pro Tech Extreme Eyeliner is available from Superdrug. Very nice. 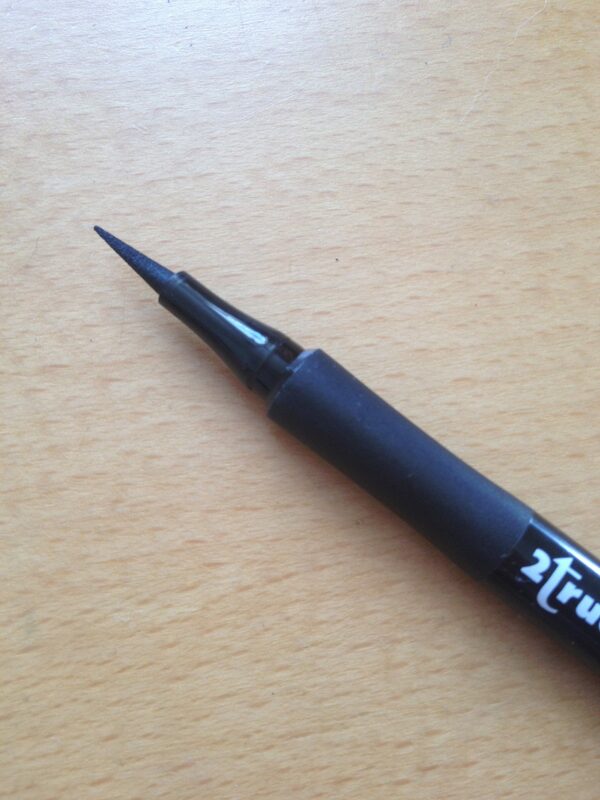 Do you find that felt tip eyeliners work better than other kinds? Thank you. I might try a felt tip liner out after my current liner runs out.